Revitalizing anti-aging care for the demanding area around the eyes. An active ingredients form the Persian silk tree assists in lifting the upper eyelids to counteract traces of tiredness. 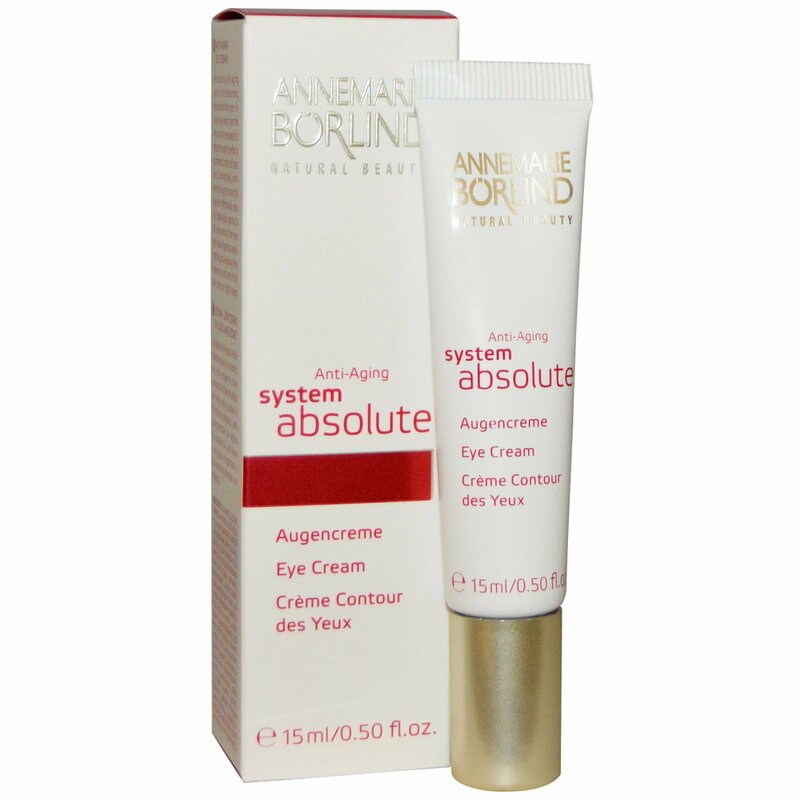 Existing lines, wrinkles and rings around the eyes are effectively reduced. 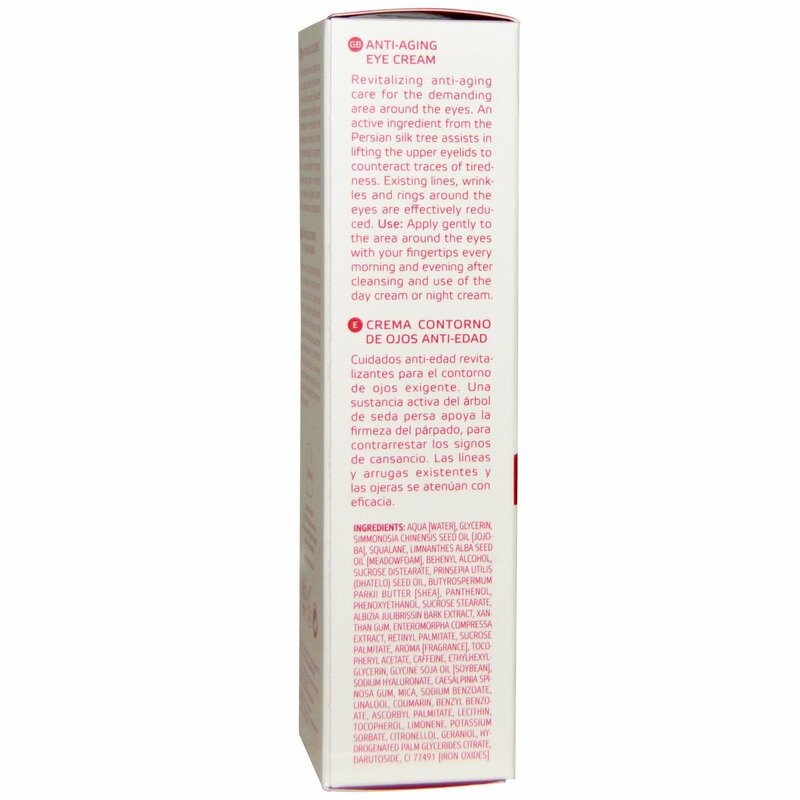 Apply gently to the area around the eyes with your fingertips every morning and evening after cleansing and use of the day cream or night cream. Aqua (water), glycerin, simmondsia chinensos seed oil (jojoba), squalane, limnanthes alba seed oil (meadowfoam), behenyl alcohol, sucrose distearate, prinsepia utilis (dhatelo) seed oil, butyrospermum parkii butter (shea), panthenol, phenoxyethanol, sucrose stearate, albizia julibrissin bark extract, xanthan gum, enteromorpha compressa extract, retinyl palmitate, sucrose palmitate, aroma (fragrance), tocopheryl acetate, caffeine, ethylhexylglycerin, glycine soja oil (soybean), sodium hyaluronate, caesalpinia spinosa gum, mica, sodium benzoate, linalool, coumarin, benzyl benzoate, ascorbyl palmitate, lecithin, tocopherol, limonene, potassium sorbate, citronellol, geraniol, hydrogenated palm glycerides citrate, darutoside, Cl 77491 (iron oxides).